Known for its dramatic bluffs, pastel-hued villages, and cliff-hugging roads, the Amalfi Coast is arguably Italy’s most scenic stretch of coastline. From Salerno, drive west to the charming village of Vietri sul Mare, the starting point of the 30-mile coastal road proper (the SS163 Amalfitana). 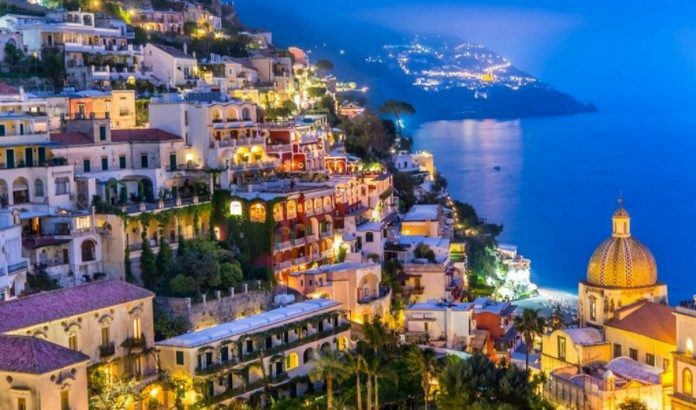 Where to stop: Positano, for its surreal, steep geography and show-stopping views; Ravello, for the romantic gardens at Villas Cimbrone and Rufolo; and Amalfi, for its touristy-but-charming seaside village, home to the spectacular Duomo di Sant’Andrea. Where to eat: A’ Paranza in Atrani for fresh seafood and Cumpà Cosimo in Ravello for Mama Netta’s reliably delicious homemade pasta. Where to stay: The iconic Le Sirenuse; the glamorous, celebrity-studded Belmond Hotel Caruso; or the blissfully secluded, 20-room Monastero Santa Rosa — one of the world’s most beautiful clifftop hotels. Click the next ARROW to see the next image!